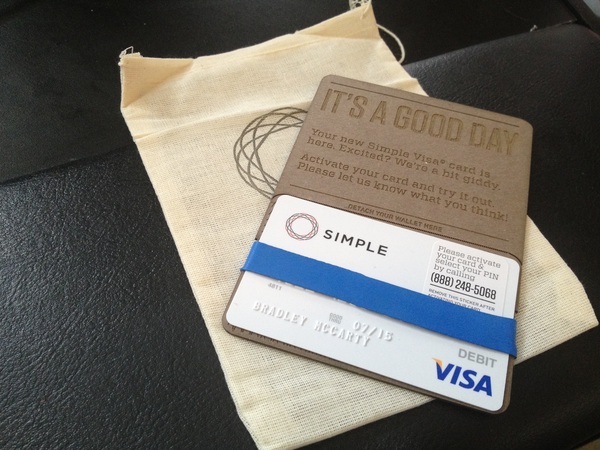 Maybe you’ve heard about Simple, the banking startup that’s got Silicon Valley (and everyone else) begging for an invitation. The company has recently started rolling out invitations to those who have been on their wait list, yours truly included. Today I got my debit card, and I was pleasantly surprised to see that even their process for something as ubiquitous as sending a chunk of plastic is done differently. A single card in your pocket? That’s Simple’s goal. Well played, folks. My bank? It’s so much more classy than your bank.